An excellent stay for both accommodation and location. Lovely wee cottage in a stunning location. Nicely furnished and good range of equipment. Only complaint shower was not very good but would thoroughly recommend this cottage for a holiday. Lovely cottage. Beautiful location, very confortable, practical and clean. Highly recommended. We loved the Cherry cottage. It is set in a beautiful location srrounded by montains. The cottage is very comfortable, clean and practical. 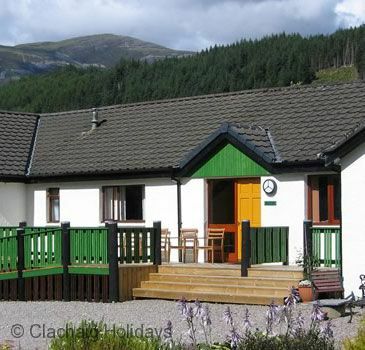 Also witin easy access by foot to the small village of Glencoe which has all facilities needed when self catering. I highly recommend it and would stay there again. We had a wonderful time in Glencoe. The cottage was welk equipped, nicely decorated and the sound insulation is excellent. De view of the mountains is breathtaking. The kids loved to play by the river, trying to fish with their little nets or building a dam. Or play football in the large garden. Fantastic location. Lovely property set in quiet area with nice big gardens. Nicely furnished & well equipped. Cleaning between lets could improve but, otherwise, a great place to spend a holiday. The location and setting of the Cherry Tree Cottage were perfect. We did have some issues with the toilets which were not flushing easily (although not backing up). I believe that the Cottage next door to us had some backing up and there were a few maintenance men who came by on Thursday to fix this issue, which then resolved the lesser problems in our Cottage too. We were not able to turn on any heat in the radiators, but we used the little heating stove in the main sitting area which worked fine. Had the weather been colder, we may have needed some of the other radiators. However, we did not call in a problem as the weather was beautiful after the first 2 days. Nice cottage with incredible scenery. Cherry cottage is big enough for four people. Everything you need is available. From this cottage you can walk various walks within the area. Views from the cottage are stunning, all the way round. A good place to stay with everything you need............Great view of the Pap of Glencoe. Would be a great base for walking.